Moving to the Bahamas is the ideal choice for a wide range of travelers, from meandering sailors, wanting to make their home aboard their vessel in the beautiful, crystal clear Bahamian waters, to the glitzy and glamorous rich and famous. There is a large expatriate community living in the Bahamas, with people from all walks of life, many different professions and many different economic levels. Many teachers, bankers, accountants, and doctors have made their homes in The Bahamas, many coming for short contracts and staying for many, many years. These sectors have traditionally recruited many foreigners and the trend continues with many relocating to the Bahamas permanently. Where in The Bahamas should you move to? The different islands offer very different opportunities and experiences. New Providence is home to most of the population of The Bahamas. Nassau, New Providence is the capital city, the business, tourism and economic center of the country. 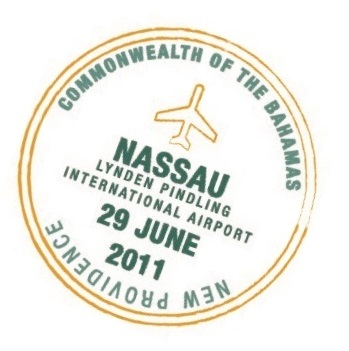 Nassau is the home of the major hospitals, the College of The Bahamas, the major hotels, casinos and resorts and the Lynden Pindling International Airport. It is the economic and transportation hub of The Bahamas. Paradise Island is, of course, the high-end resort center of the Bahamas. Connected to New Providence by a small bridge, Paradise Island is home to the world-famous Atlantis Resort and Casino, many luxury condo developments as well as numerous fantastic, gourmet restaurants. The Paradise Island Golf Course is also among the most scenic courses anywhere in the world. Freeport, Grand Bahama is the second city of The Bahamas. It too has resorts, casinos, beaches and some of the best diving in the world. There are direct flights to Freeport and the infrastructure is efficient and modern. Freeport is also a mecca for film makers, with the gorgeous scenery and state of the art filming facility. Finally, there are the Family Islands. The Bahamas consists of over 700 cays and islands, few of which are inhabited. Those family islands that do have settlements, towns and ‘cities’ on them offer a relaxed, laid back lifestyle. From beaching to bone fishing, swimming to sailing, the islands offer peace and tranquility in possibly the most gorgeous setting in the world – white sandy beaches, gin clear waters and blue skies and sunny climes that combine to make a spectacular, natural wonder of the world. Anyone relocating to the Family Islands is going to find peace, beauty and the wonderful hospitality of the Bahamian people. Why does one relocate to The Bahamas? There are many reasons to relocate to The Bahamas, economically, we offer a tax-friendly environment, with no income tax or capital gains tax. The climate is near perfect. With around 340 days of sunshine a year, summers that are perfect for beaching, and slightly cooler winters. The Bahamas is easy to get to, with direct international flights from the USA, Canada, Europe and South America. Nassau to Miami is a short 40 minute plane ride away! Our government and economy are stable; there is no language to learn and no special vaccinations required. We have two International Schools for those globetrotters that want to maintain stability for their children. There should be a seamless transition from one IBC school to another. You may relocate to the Bahamas and reside as a Permanent Resident, an Independent Economic Resident, with an employee sponsored Work Permit, as a Resident Home Owner or a Seasonal Resident Home Owner. 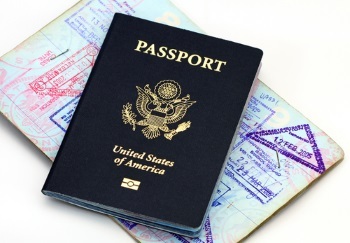 Passports and possibly visas are required for stays in excess of three weeks. Applications for Annual or Permanent Residency may be given expedited consideration if the applicants residence is valued in excess of $500,000. We have helped many people move to the Bahamas over the years and would be happy to discuss the process with you. Get in touch today!